Officers: David Evans, Chris Gascoine-Hart, Nigel Hawkins, Robert Metcalfe, Tim Roe and Roger Stalley. Michael Ackroyd, James Agnew. Philip Ambler, Charles Boyle, Nigel Broughton, David Doyle, Jeremy Duff, James Edwards, Marcus Evans, Alan Evison, Ian Fairclough, Stuart Giggins, Charles Jackson, Andrew Laurie, Andrew Lynall, Oliver Parker, Michael Powell-Brett, William Purcell, Andrew Ralston, Barnaby Renold, Graham Scothern, William Temple, Michael Venn, Gerald Welford, Hugh Williams and Andrew Wilson. 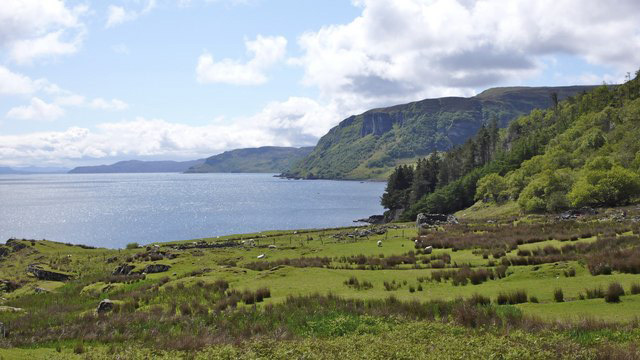 Much of the 1964 Report was taken up with articles on last year's successful Raasay Expedition, and that is one reason why not very much will be included this year. A fairly lengthy Leader's Report should I hope fill many gaps. Twenty-six boys, seven officers, incredibly bad weather for most of the time but a fine camp spirit were the main ingredients of this year's expedition. The camp site, as last year, was situated on the small green piece of land gently sloping towards the sea situated under the crumbly remains of Brochel Castle. This site is fine scenically and sheltered on three sides. The fourth side, however, faces the open sea to the East. When the wind blew hard, as it often did, from that direction life could be a little uncomfortable especially when it was accompanied by heavy rain! The site became very muddy with depressing rapidity and it was fortunate indeed that we had access to and therefore used sheets of corrugated iron to cover the more muddy areas. Which was more dangerous to those less sure-footed was a debatable point! The advent of an advance party in the shape of Messrs. David Evans, Tim Roe, Roger Stalley and wee Willie Temple made the establishing of camp far easier. The hard and endless labour of carrying food and equipment was completed by 8.30 p.m. on Tuesday the day of our arrival and the first meal was eaten in the just-erected marquee at 8 p.m.—in daylight. Two anxious souls then enquired apprehensively whether they could keep a watch on the tide through­out the night! Doubtless the proximity of this force of water was a little perturbing to some but frank dismissal of any soggy tragedy put minds at rest! The tents used had housed the Harris expedition. That Outer Hebridean tribe had apparently been inflicted with winds so terrible that the guy ropes of many of the ridge (sleeping) tents had been torn from the canvas. 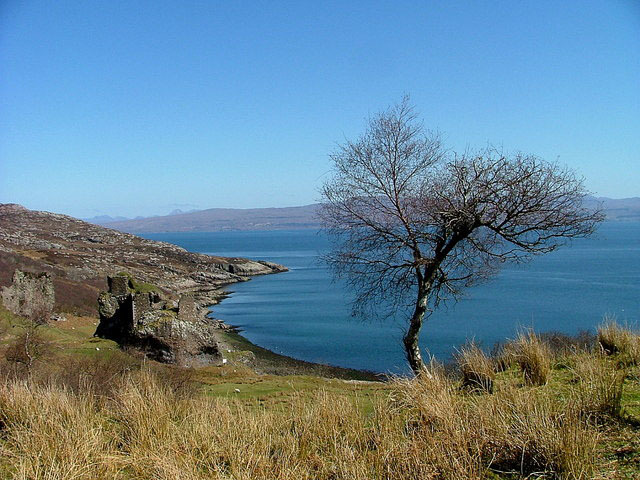 Repairs in Mallaig had not proved satisfactory and Roger Stalley and his small sewing party did wonders during the next 36 hours or so—thus enabling seven, out of the required seven, tents to be erected. Not one tent blew down during the fortnight despite high winds which prevailed much of the time. An all night watch on one occasion to deal with the guy ropes at appropriate intervals, arranged by Oli Parker and others, was not as effective as it might have been due to the continued and apparently blissful slumber of two of the nightwatchmen! There was no further night watch—much to the relief of the officers who did not take as enthusiastically as their younger companions to rising at 3 a.m. to supervise this necessary task. Rain prevented climbing for much of the time but many boys made a successful trip up the easy route on the rock face next to the site. Gerald (Joe Brown) Welford amazed several by climbing a large overhang and later on during the same climb halted a while most casually, while perched precariously to inform the man be­laying that if he pulled the rope tight like that again he (the climber) would pull him off! Regrettably most of the rocks around Arnish were too high for climbing, though there are one or two outcrops which are suitable. Nigel Hawkins showed remarkable patience and martyrdom in arranging the sailing and canoeing. Many a day he would spend considerable time having his limbs frozen stiff and his lips coloured blue sailing or sitting in the boat with a bunch of expectant but invariably unsuccessful fisherman! Every boy had an opportunity of sailing under his, Oli Parker's or David Evans' guidance. Was it guidance? Providence undoubtedly saved the day on one or two occasions when those of us who were inexperienced had the privilege of holding the tiller! 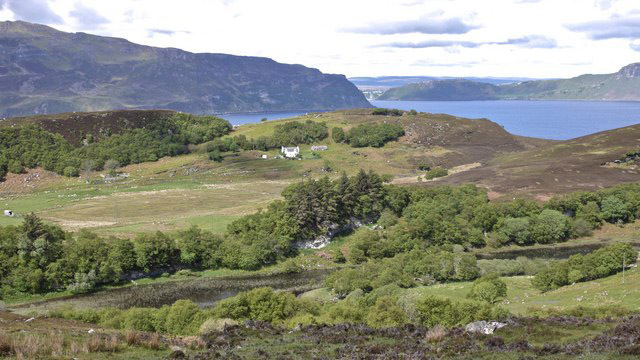 The use of Clachan Lodge—about 7½ miles from the camp and 2 miles from Inverarish Village—made the visiting of the small isle of Scalpay far easier than last year. There were two trips to this island. The first group embarked on Mr. John Nicholson's motor launch fairly early on a cold, wet morning. A brief stop was made to catch a dozen fish and then on again in the driving rain to have lunch on the island before returning. Many who had expressed the wish that the trip should take place despite the weather thought differently some hours later! The remainder of the camp were more fortunate. A fine day and 90 odd mackerel made the walk back to camp almost worthwhile. Forty of the day's catch were quickly gutted by bloodthirsty volunteers and cooked (or uncooked!) and eaten at once by hungry souls (if you follow!). A Kon-tiki raft without oil drums resulted in "Percy" Purcell and others seeking dry clothes within minutes of the craft's maiden voyage! On the first Sunday of our visit a small group went to the Scottish Free Church at Inverarish in the South. The second Sunday a short service in the morning was held, taken jointly by most of the officers. 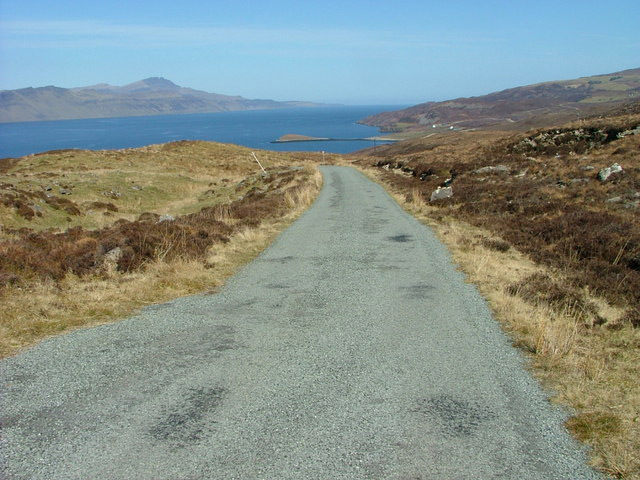 The Sound of Raasay is in the distance with Skye beyond. Tim Roe who must surely know very well every part of that tidal island to the North of the camp. Chris Gascoine-Hart gave every encouragement to those showing an interest in geology and a line collection of rocks and fossils was on permanent display on a special table in the marquee. David (Fred) Doyle's weather recording was kept up to date and most items recorded are, one hopes, reasonably accurate; but a maximum and minimum thermometer facing the sun should be avoided in future! A small party visited Portree on the second Saturday, spending the night before and the night after at Clachan Lodge. This same party went to the Church on the day following their visit to Skye. All of us will remember particular incidents during the expedition. Ones that spring to mind arc the capsizing of a canoe and the exciting and well-executed rescue in rough sea of boy, canoe and paddle by David Evans and Bob Metcalfe. One remembers with sorrow the ceremonial boiling, burning and burying at sea of poor Nellie the mini crab to the out of tune accompaniment of the Wedding March and the National Anthem! Chris Gascoine-Hart's fantastic head stands and yoga leg bending on tables, in tents and on old orange boxes on the sea shore are remembered with delighted awe! The supper on the last night at Brochel was a lavish affair and it was disappointing that no more of the islanders could join us. The weather however had been particularly grim during the day and had daunted the spirits of those who had once intended to come. One could continue writing about the expedition for several more pages, but space prevents this. Here, however, last but not least I must record my thanks for myself and on behalf of the members of the expedition to all those people who gave their help and encourage­ment in the running of this successful expedition. In particular I should like to thank the Ministry of Agriculture and Fisheries for Scotland for their permission to use the island; to Mr. Graham for the use once again of the site at Brochel; to Mr. Peter Gillies for his great help with the transporting of equipment and for his continual thoughtfulness and help towards our well being; to Mr. Evans for driving us, on short notice and in all weathers, from one end of the island to the other, for the use of Clachan Lodge—particularly on the last night and for his interest, encouragement and cheerful spirits; to Mr. (Postman) MacLeod for again cleaning wells prior to our arrival, for his interest in all we did and for entertaining us with his stories and history of the island; to Major Temple for the use and transport of his dinghy and to those parents and boys concerned for the use of their canoes. I would like to thank very much indeed the officers who worked so hard and who were so patient and loyal throughout the expedition. It was through their example, enthusiasm and cheerfulness—some­times under depressing conditions—that much of the expedition's success is owed. To everyone else I would say thank you for your own contribution to a happy and successful expedition. It is I believe worth remembering that the more one gives the more one receives and those who undertook as much as they could during the camp will I feel have benefited most. I only hope that everyone on the expedition enjoyed themselves as much as I did.